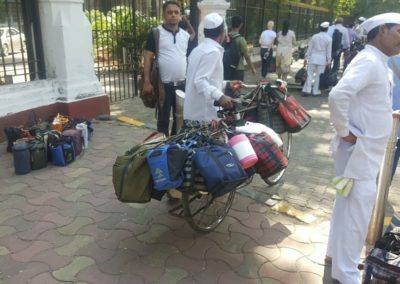 Apparently, that’s the error rate for lunch deliveries made by Mumbai Dabbawalas. 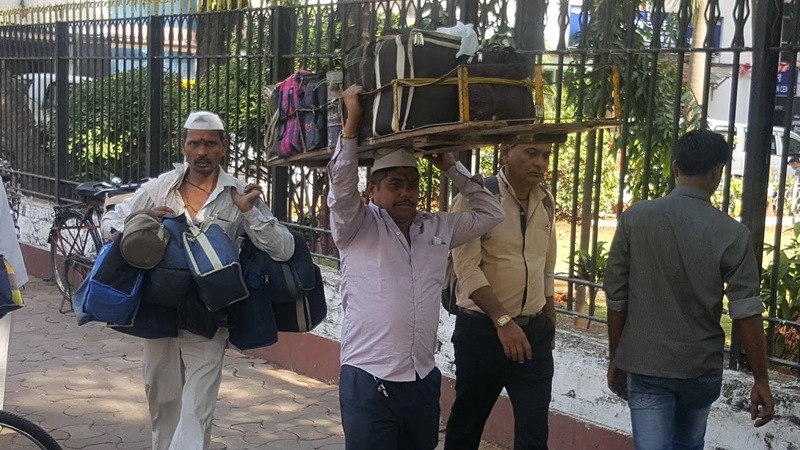 Okay let me slow down a bit – A Dabbawala literally means a guy who carries a box. 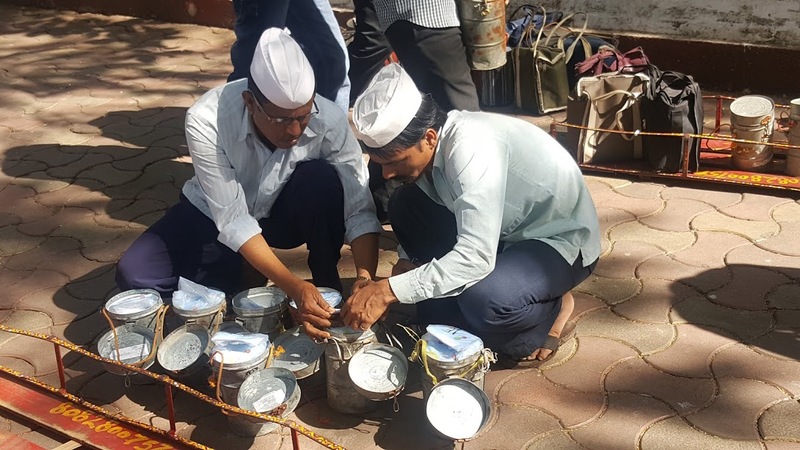 So, a dabbawala in this context is someone who comes to your house, picks up a home-cooked meal and then delivers it to your family member/loved one/acquaintance at their workplace in time for lunch. 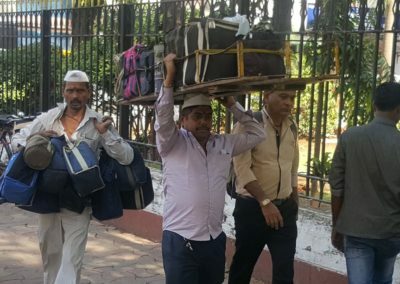 These guys use trains and bicycles other than walking as their mode of transportation. We had the pleasure of watching these guys in action yesterday. 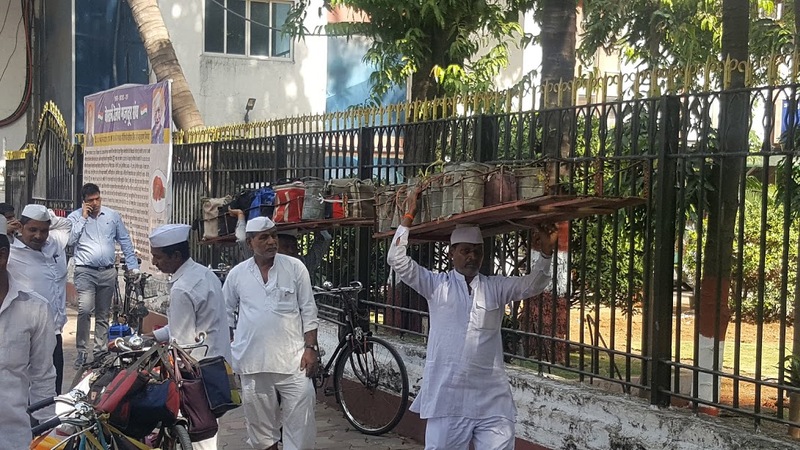 About 5,000 dabbawalas deliver approximately 200,000 lunches each day. 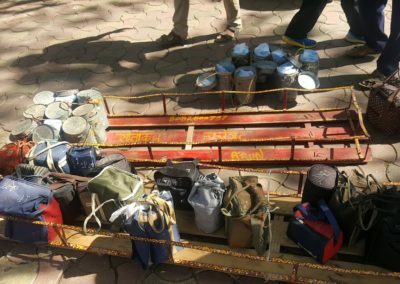 There are two sets of dabbawalas – one that collects lunches from homes and another that delivers these to their destination. 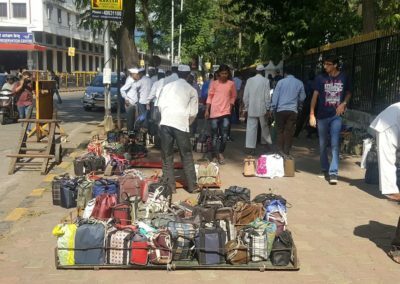 While there a few hubs where they sort the lunchboxes, Churchgate station is one of the main ones. 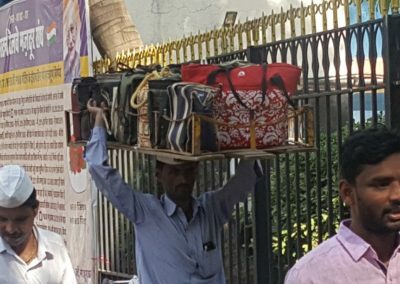 There is a designated spot on the sidewalk across from the station for these guys to sort the lunchboxes between 11 am and 12 noon six days a week. 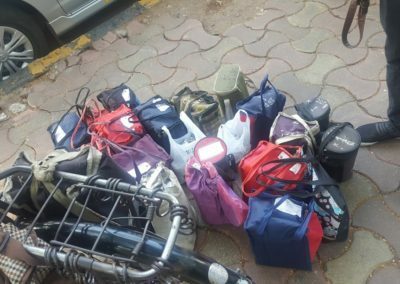 The second set of dabbawalas come here to pick up for delivery. It doesn’t quite end there though. 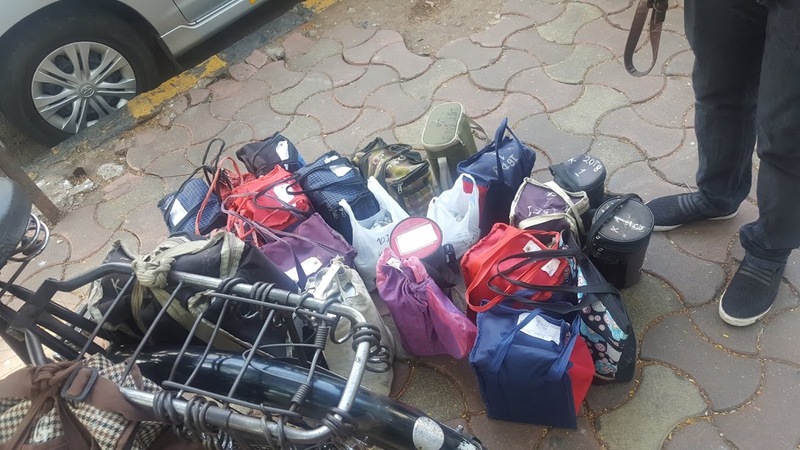 Later that same afternoon, the empty lunchboxes are again collected by the dabbawalas and returned to the homes they were picked up from earlier that morning. You’re probably imagining a pretty sophisticated set of algorithms or systems at work here but you will be surprised to know that most of these guys are mostly illiterate. 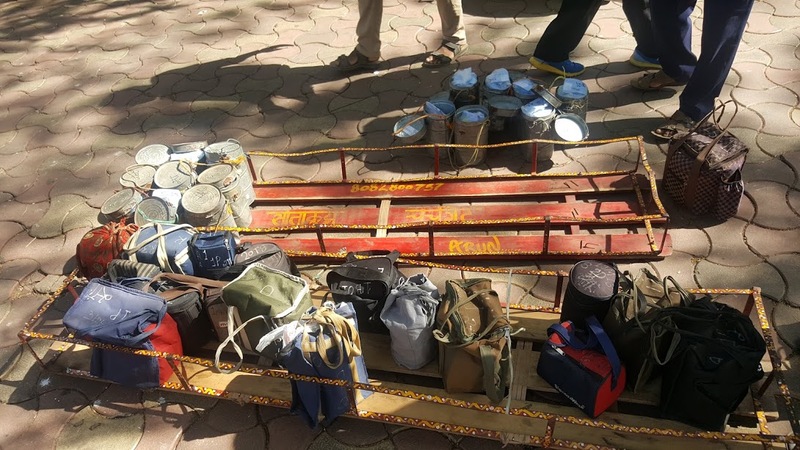 Over the years, they have created their own set of markings, alphanumeric codes for sorting and delivering these lunches. They take a lot of pride in the fact the they are on time and practically never make mistakes. They share a common set of beliefs and have also been known to fire their customers if the lunches are not ready on time for pick-up. 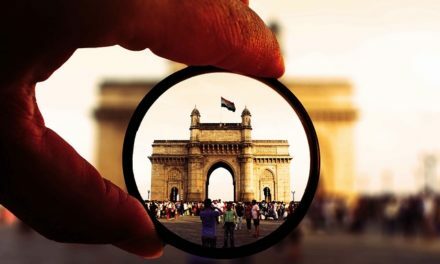 Forbes did an article on them and several colleges including Harvard have come to observe them in action and study their delivery methodology. 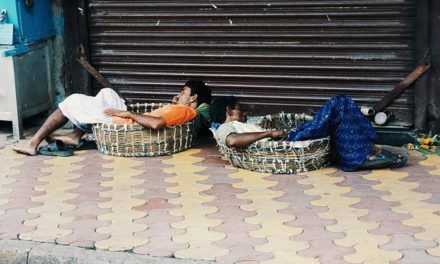 Growing up I used to see these guys in action right outside Churchgate station almost every day since my college was nearby. 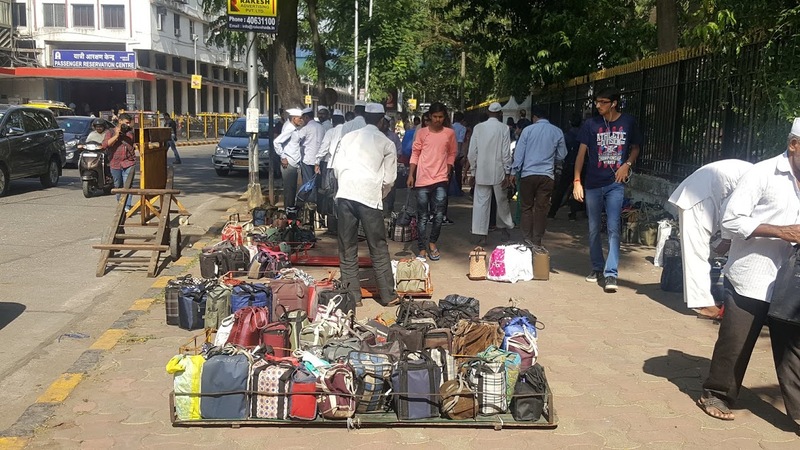 The dabbawalas have grown at a healthy clip since then, hence the new expanded space on the sidewalk across the station. 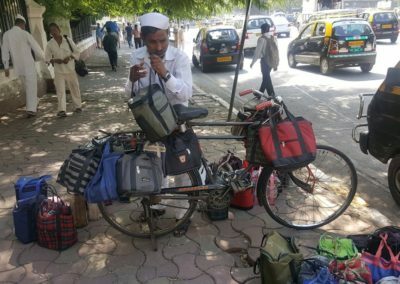 All dabbawalas get paid the same $130-$170 per month. 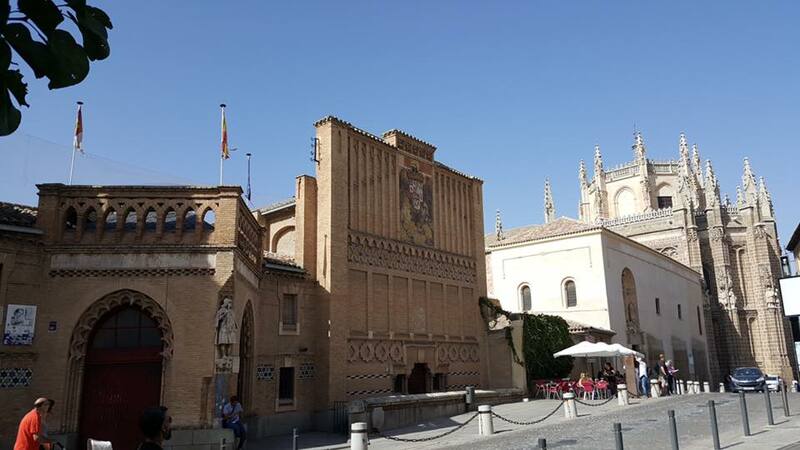 I am not sure how long this trade will continue in its current incarnation. 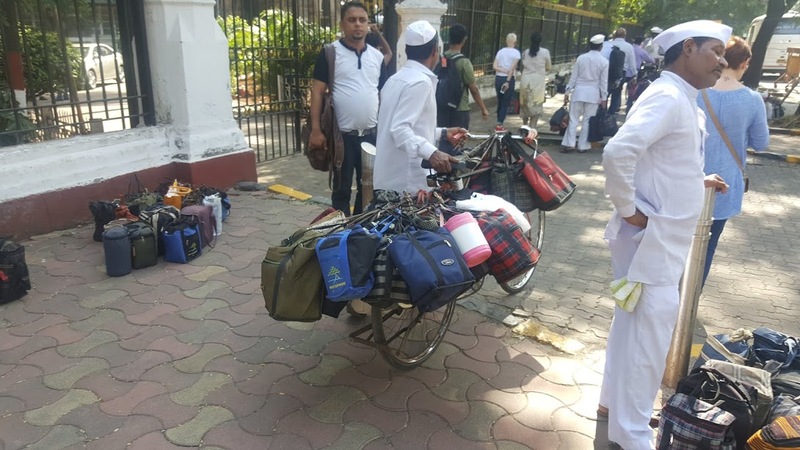 Most of the dabbawalas we observed were in their 50’s and 60’s. 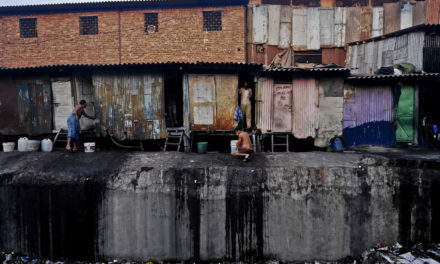 I am not sure if their children aspire to be like their fathers so will it die or evolve with times? Time will tell. 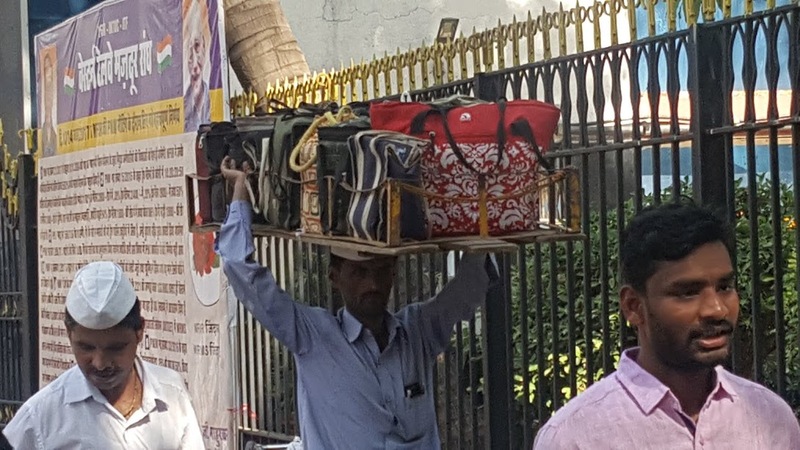 The sad part is that most of the customers do not realize what goes into bringing their lunches daily. 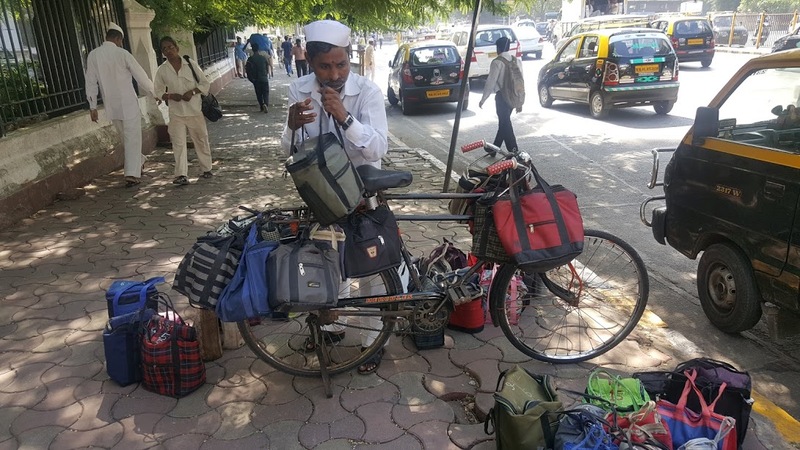 I believe the dabbawalas are unsung heroes and an underappreciated bunch. Previous1500:1 ??? You’ve got to be kidding me! 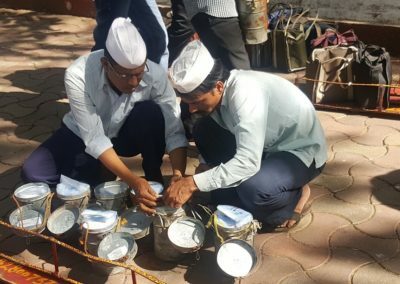 Are the dabbawalas teaching the six sigma guys to stop acting like gluten-intolerant vegans who never stop talking about six sigma? Seems like this is a case-study in goal alignment. That’s why the occasional customer gets fired. 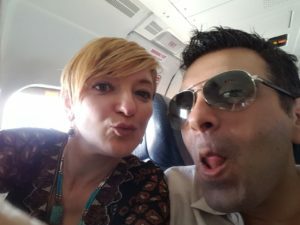 Thanks for sharing the post and pics. Keep it up.